Great Ideas in the living room: Simple wide black stripes painted on the left wall; Floor-to-ceiling luscious satin drapes (easy to make); and that old 70’s console, brought up to date with a coat of fresh white paint. 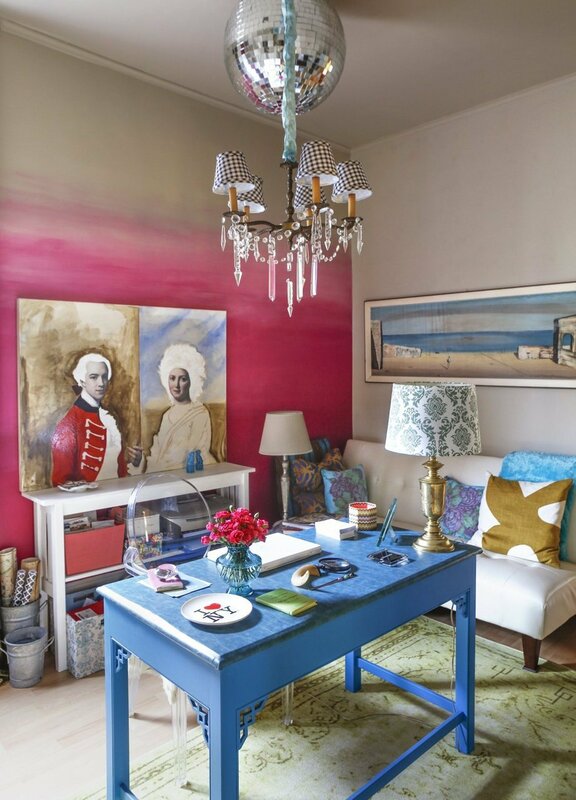 The bright pops of color in the artwork finish the room perfectly. 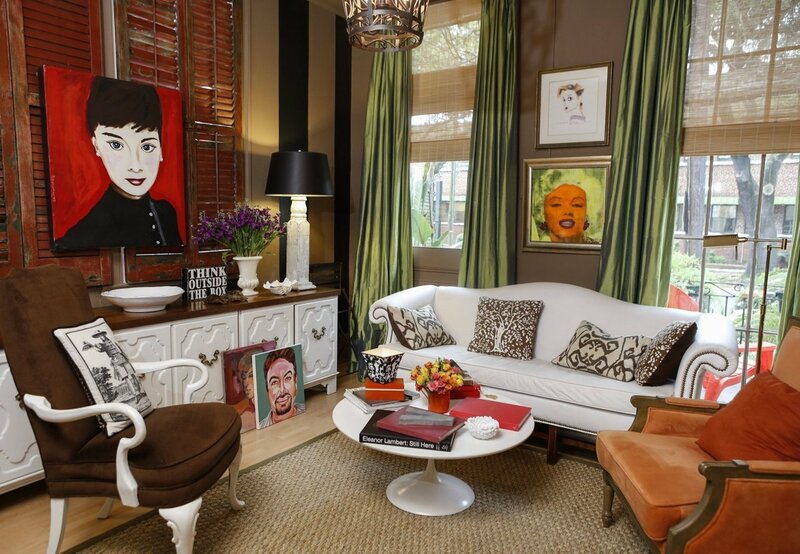 I love the fabric draping here, an elegant way to dress up a plain wall. (Attention renters!) 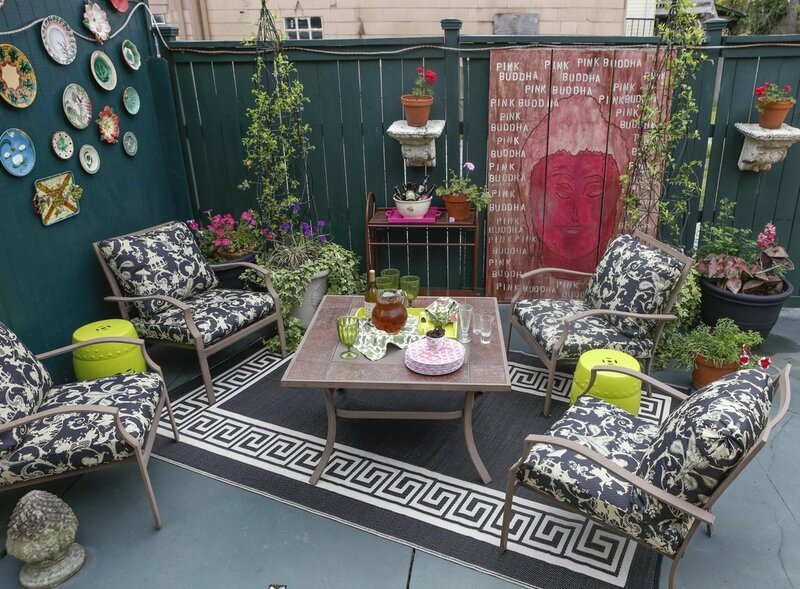 The fabric cord cover on the lamps is the perfect finishing touch. 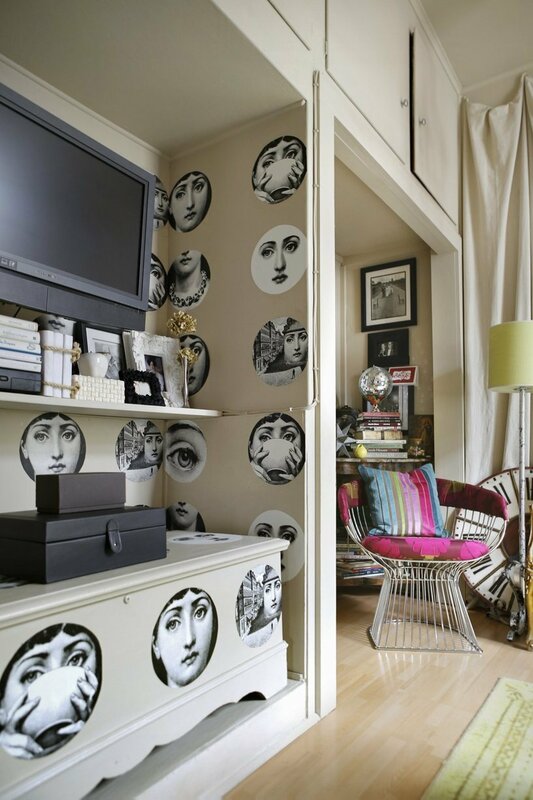 I’m a huge fan of Fornasetti, but it’s way out of my price range. This is a fabulous idea! Print and decoupage your own wallpaper! 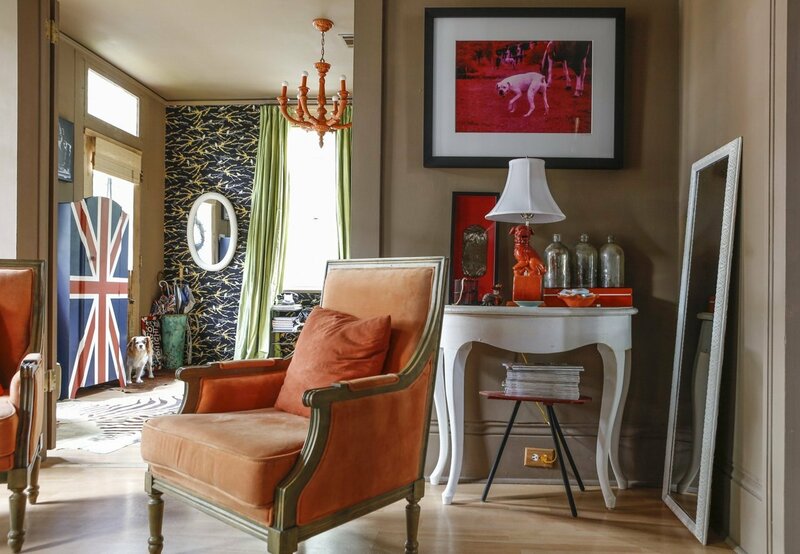 A great example of making a color work by repeating it around the connecting rooms (Here, orange/red, but this can work with any color.) And you’ve got to love the Union Jack-painted wardrobe! 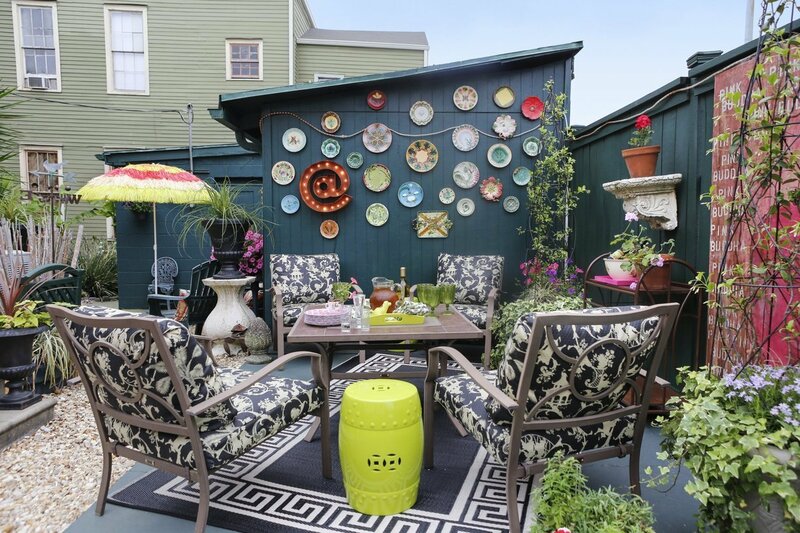 The outside patio is charming.Using the dark slate grey as a base and adding the pops of chartreuse green (and a little hot pink) works fantastically. I love the light-up ampersand with the plates on the wall. 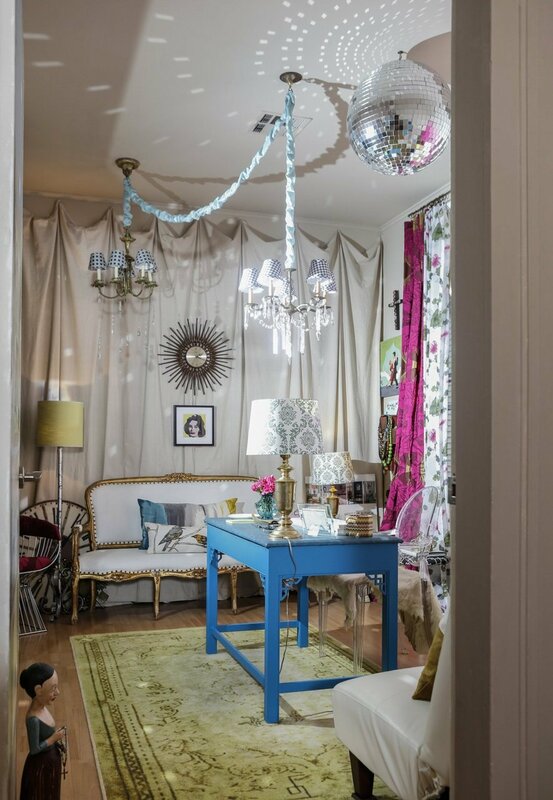 This entry was posted in decorating, DIY, furniture, home and tagged Apartment Therapy, decor, decorating, disco ball, DIY, DIY decor, diy decorating, ecclectic decorating, ecclectic home, Fornasetti, New Orleans home, ombre wall, redecorating, redo, restyle. Bookmark the permalink.